『구룡령 옛길』은 양양과 홍천을 연결하는 옛길로 산세가 험한 진부령, 미시령, 한계령보다 산세가 평탄하여 양양, 고성 지방 사람들이 한양을 갈 때 주로 이 길을 이용하였다고 한다. 강원도의 영동과 영서를 잇는 중요한 상품 교역로였고, 양양, 고성 지방 선비들이 과거를 치르러 한양으로 갈 때 명칭에서 유래하듯 용의 영험함을 빗대어 과거 급제를 기원하며 넘나들던 길이라 하며, 구룡령이라는 이름은 ‘아홉 마리 용이 고개를 넘어가다가 지쳐서 갈천리 마을 약수터에서 목을 축이고 고갯길을 넘어갔다’고 하여 붙여진 이름이라 전하고 있다. 옛길 입구에는 굽이져 흐르는 계곡이 있고, 길의 중간중간에 길의 위치를 표시하는 횟돌반쟁이, 묘반쟁이, 솔반쟁이 등이 자리하여 아름다운 자연 경관을 보여 줄 뿐 아니라 옛길 걷기의 흥미를 더해주고 있다. 또한 구룡령 옛길에는 일제시대 일본인들에 의해 개발되어 일대 주민들이 강제 징집되었던 애환의 역사가 서린 철광소와 케이블카가 남아 있고, 옛길 길가에는 1989년 경복궁 복원 당시 사용되어 밑둥만 남아 있는 소나무 거목 흔적이 남아 있는 등 조선시대와 근현대사의 역사가 함께 잔존하여 역사적 가치가 큰 소중한 명승지이다. 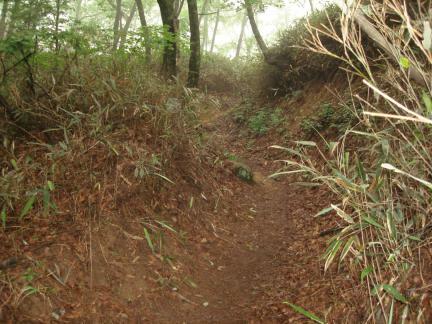 This old path connecting Yangyang and Hongcheon over the Taebaeksan Mountain Range is relatively level when compared with the steep, craggy Jinburyeong, Misiryeong and Hangyeryeong passes. 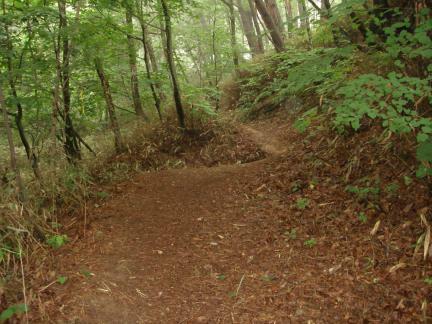 Therefore, in the old days the residents of Yangyang and Goseong mainly used this path to get to Hanyang (present-day Seoul). 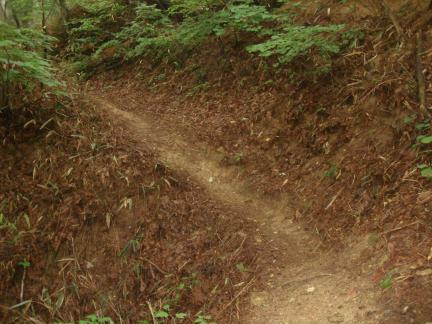 A major trade route linking the eastern and western regions of Gangwon-do Province, the path was also popular with local scholars journeying to the capital to take the public service examinations, and hence an embodiment of their dreams to some extent. 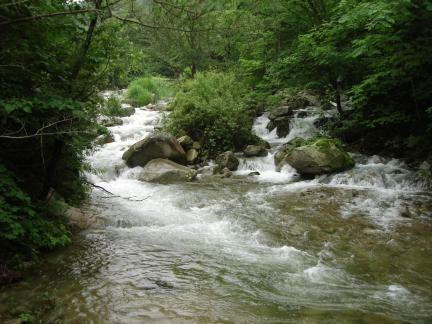 Guryongnyeong, meaning “Nine Dragons Pass,” was thus named due to the legend that “Nine dragons quenched their thirst by drinking water from a well in nearby Galcheon-ri village, and, having thus overcome their fatigue, continued on their way over the many hills.” The scenic mountain road starts from a gorge with a winding stream. Along the road are interesting mileposts associated with well-known historical episodes, including hoetdol banjaengi (limestone milepost), myo banjaengi (tomb milepost) and sol banjaengi (pine grove milepost). 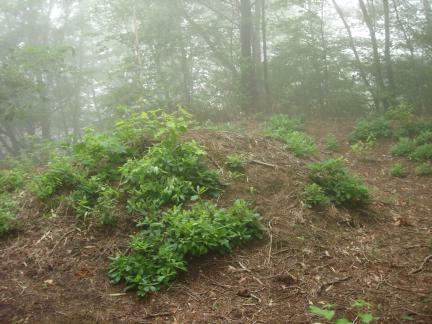 Near the path is an abandoned iron mine with a cable car, where local residents were pressed into forced labor during the Japanese Occupation (1910-1945). There also are many stumps of large pine trees that were cut down for timber for the reconstruction of Gyeongbokgung Palace in 1989. These traces of modern and contemporary periods contribute to the historic value of the scenic site.